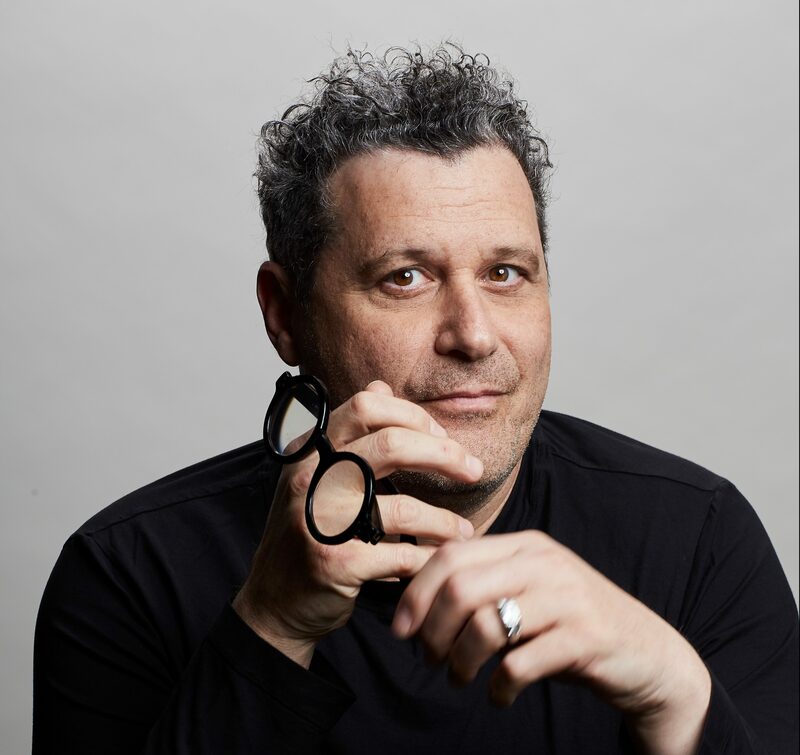 Since debuting his first fashion collection in 1987, much of Isaac Mizrahi’s life has played out in the most public ways. On the runway, his sense of style brought him celebrity and fortune. On screens big and small, his engaging personality led to a star turn in a 1995 film documentary (“Unzipped”), his own TV shows and ongoing work as a judge on “Project Runway All Stars.” And, on stage, where the Brooklyn-born Mizrahi feels most at home, his one-man cabaret shows at Café Carlyle in New York are all the rage. But as detailed in his recently released biography, I.M., there’s more to the famed designer and entertainer’s remarkable story than even his most ardent fans know. In it, the 57-year-old Mizrahi, who married his longtime boyfriend Arnold Germer in late 2011, explores growing up gay in a Syrian Jewish Orthodox family, coming out in his teens, his battles with weight and depression, rebounding from setbacks and reinventing himself—and much more. On the eve of his March 13 appearance at the Adolph & Rose Levis Jewish Community Center in Boca Raton (21059 95th Ave.; 561.558.2520), Mizrahi spoke to Lifestyle about the introspective aspects of writing a biography. There’s a moment, in your late 20s, when your dreams and desires as a youth suddenly come to fruition as a designer. Did anything about that period surprise you? If you had told me when I was young there was a possibility that I would become a designer or a celebrity or an actor, and that I would travel the world, I might have believed you. I had this vision of the future, and I understood how to get there in this crazy way. I was always an artist/impresario—I had this traveling puppet show as a kid; I did shows for birthday parties—and there was nothing that could take me away from that. What I never would have believed was that I would be out and have this fulfilling day-to-day life as a proud gay person. Not if you told me that in the 1970s. [Decade by decade] it got slightly better. Now, it gets better every minute. How has finding love and marrying Arnold factored into that? I have to say, it’s grounded me in such a way that I didn’t expect. I was at our home in Bridgehampton, [New York, recently,] and I was alone in my bedroom. There were years when I was always alone, and that wasn’t a bad thing because I was pursuing my career, which was the most important thing in my life. But it struck me that night how different my life is now. I actually notice when I’m alone. I used to love that. And there are still things about being alone I like. But I also long for my husband. I never longed for people before. That’s a surprise. It anchors you, and it [allows you to] take even bigger risks. I don’t have anything to lose anymore. I don’t care about money, I don’t care about comparing achievements. Like any artist, I have a creative ego, and I want to succeed. But in the end, I’ve discovered late in my life is that what’s more important is this central relationship with my husband. It’s tangible. It’s real. It’s love in its purest form. There’s a line in the book where you talk about immersing yourself in fashion as a “diversion from deeper, more meaningful things.” What things? I think my deepest, deepest desire is to be this performer, entertainer type of person. I think the fashion was a diversion. It took me away from that desire. It made my mother happy. It made me money. And, by the way, I think I’m rather good at it. But it is a diversion. Telling my story in front of an audience and connecting with that audience in whatever small or great way, that’s what gives me the most satisfaction. And it’s also the most devastating when I’m on stage, and it’s not happening. The saddest times I’ve ever had [professionally] is when I come off stage without connecting. I spit bullets. It’s funny because people will come up after the show and tell me how great it was, and I’ll be like, “Were we in the same room?” And then some nights I’m feeling deeply connected to the audience and don’t get a great response. It’s not about that. It’s just a personal thing as a performer. You write about your battles with depression. When did you realize it was more than just an occasional dark mood and that it required attention? I recognized it when I was a little kid. I think it was part genetic—I was told that my grandfather was bipolar. I don’t think I’m bipolar. But I do have issues with depression and issues with sleep. When I was a kid, I didn’t have friends, and I was very, very overweight. I didn’t do much except watch TV, eat and do things with my hands, like the puppets and [making clothes]. That period was some form of depression. And the making of things was a kind of therapy that did not present itself as therapy; it presented as a lifeline. It was the only thing that had meaning to me. Everything else was meaningless. I think the pivotal story of my life was having this teacher in eighth grade. She was brave enough to recognize something different in me. She introduced me to the idea of going to [LaGuardia High School for Performing Arts]. For a teacher in a nearly rabbinical yeshiva to say, you don’t really belong here, it’s absolutely miraculous. At that age, in eighth grade, does anybody know what they’re doing? Does anybody understand? It was a critical time in my life. I’m not sure I make that point clear enough in the book, but that was a kind of life-saving guidance that woman gave me. What do you hope people get out of the biography? There are a few themes in the book. One is this idea of creativity and, to me, its indivisible relationship to anxiety. Whenever I felt my most inspired, I also felt a little sick. It’s not an easy thing. The other recurring theme is that looking back on life, you have nothing but happy memories. But living through those things is so fraught with anxiety and doubt and depression. I’m remembering some of these [accomplishments] now as being happy and fulfilling; living through them, I did not feel happy and fulfilled. I felt harried, exhausted and filled with dread. The book starts with a quote by Susan Sontag, who I love. She wrote, “Just wait until now becomes then; you’ll see how happy we were.” It’s so brilliant and so true.